I’ve often written about fear, but it seems to be on the Lord’s mind this morning so here we go again. If a lesson can be repeated over and over in the Bible, I guess it’s not redundant if I do the same. As anyone who has paid attention to the news lately will know, fear is rampant throughout the world. The latest international incident motivating fear was the attacks against women that occurred in Germany and throughout a number of other European countries on New Years Eve. Nationally, it’s the story of a police officer in Philadelphia whose assailant walked right up to the window of the patrol car and blasted away, critically wounding him. As I watched a news program last night, I lost count of the number of times someone said, “I’m afraid,” “Should we be afraid?” or “You/we should be afraid.” But I’m here to say, NO, we shouldn’t. Jesus is the antidote for our hopelessness and fears, whether they are phony or based on very real threats, such as the terrorism that is rampant throughout our world. 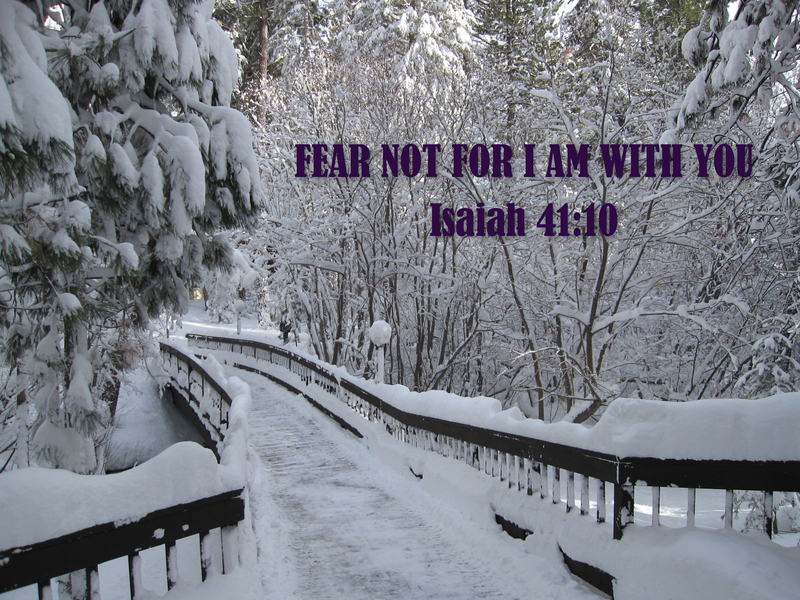 Fear not, for I am with you says the Lord! Sheba loves people and has no awareness that there are those who would abuse her, and even if she did I doubt that she’d be afraid because she knows that she belongs to us and she trusts us completely to take care of her. As a result, she happily goes up to anyone and everyone she sees with no fear of rejection. She also knows what behavior is expected of her and that she will be reprimanded if she misbehaves; yet she remains unafraid because she loves and trusts us. Perfect love casts out all fear, and God loves us perfectly, so why are we afraid? He’s not “out to get us.” We don’t have to fear his wrath unless we disobey his commands; and even then, while we can expect a gentle reprimand, isn’t that what we need—what we want? A master who loves us enough to correct us, to show us the right way to behave; yet a loving master to whom we can take our problems as well as our joys without fear of rejection. As Sheba reflects our love for her by fearlessly loving others, so should we also reflect God’s love for us by loving even those who may seem frightening to us—those whose lifestyles are different than ours, those of whom we don’t approve. Jesus himself reached out to the sinners of his day, even living and socializing with them! They were the tax collectors, the prostitutes, the people who were looked down upon by the religious leaders. He was criticized for it too. What a role model! Lord, let me love as Jesus did—fearlessly! Without me, Sheba would be in big trouble; lost, alone, starving, too hot or too cold, or even dead; because, considering where we live, a coyote would most likely have her for dinner. In fact, four of them rushed us one night when we were just outside our front gate, and had Sheba not been on a leash so I could pull her to safety she would’ve been gone. I am also totally dependent on my master. Without Him I too would be lost, alone, starving and dead—Satan would ‘have me for dinner’. I would have nothing; no peace, love, or joy; and, especially important, there would be no everlasting life with my Father. With Him, I am truly safe. Funny thing about Sheba; she’s always been afraid of other pugs. Either that, or else she just doesn’t want anything to do with them. But put her up against a Doberman or a Rottweiler and she’ll most likely wag her tail and want to play. 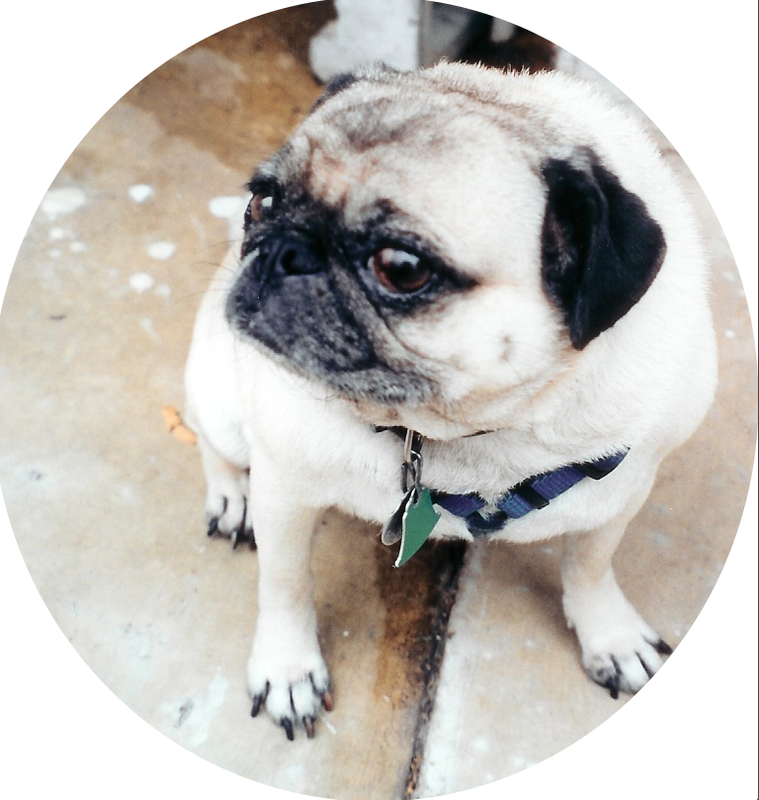 The first time we noticed this we had taken her to a large gathering of pugs in a local park—a pug convention. It was funny to watch as she pulled on her leash, desperately trying to get away from every other pug that we encountered. Later we noticed that she would even shy away from her own reflection in a mirror, apparently thinking it was another pug. 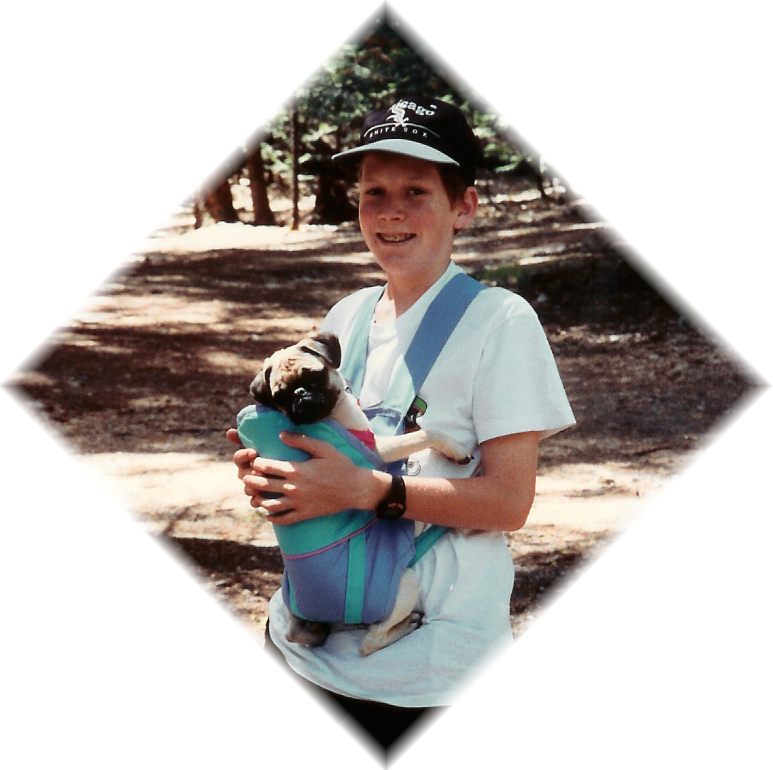 On another occasion, we were camping and a couple came by with a pug puppy, only 6 weeks old and cuter than cute! Sheba was not a happy camper; all she wanted to do was get away from that puppy who, held securely in its master’s arms, didn’t even resemble a threat. She barked and whined and pulled on her leash, trying to get us to walk away. But maybe she wasn’t afraid; maybe she was just jealous; maybe she thought we’d like some other pug better than her; maybe she wasn’t secure in the love we had for her. Perhaps she didn’t know that she is priceless and that no other pug could ever replace her in our hearts—that we could never trade her for another. Am I ever like that? So insecure in my relationship with God that I’m threatened by others who are similar to me? Am I afraid a co-worker is going to do a better job, or jealous of another Christian who has a bigger ministry? Am I threatened because I think another person is better looking, or smarter, or more talented? Do I try to escape the presence of those who make me uncomfortable? Am I plagued by phony fears? Perhaps what I really need to do is learn to accept who I am, the person God made me to be. Perhaps I need to accept his love and the assurances in his word that I am special and unique. Perhaps…just perhaps. He’s up well before dawn, already glued to his display of computer monitors. Hour after hour after hour, he watches; analyzing every dip or gain on his screens; debating with himself the best course of action; celebrating or mourning his bottom line. His whole life depends on how well he can play the game—the new home, the Lexus in the driveway, the kids’ private schools—all potentially gone in an instant. He recalls the stories his dad told him of Black Tuesday, that terrible day in 1929 when the stock market crashed and people were literally jumping out of windows to their death. What if it happens again? What if he loses everything? She stares intently into the mirror. Is that little line a new wrinkle? Better make an appointment for some more Botox. Sure is a good thing she’s got great hair—oh, but wait; is that a strand of gray? Breakfast is on the run with the latest high nutrition/low-calorie energy drink in hand, and she’s off to the gym to run and climb and lift and push and pull. By the time she’s finished, every muscle in her body will have had a workout, and every ounce of fat will have been burned away. Her career depends on looking great, no matter how hard the advancing years are pressing in; and she so stressed out by it all that somewhere in the week she really must make some time to see her therapist. And so goes life for many people; perhaps in ways not as obvious as the illustrations above, but still jam-packed with worry and stress about jobs, family, education, health, the economy, world affairs. Gone are the legendary ‘good old days’ when life was beautiful all the time. Hope has disappeared, and the future looks bleak. 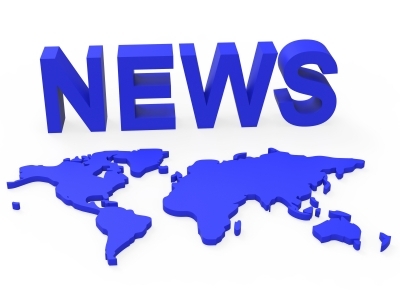 Just turn on the news if you think otherwise. Right? The Interstate 5 corridor through California’s Central Valley can seem interminable, especially if one is driving alone. So, to break up the monotony on this trip, I grabbed several old CDs that I haven’t listened to in years. Cruising along to Carole King’s “Tapestry” album, the Lord was speaking as loudly as she was singing. “I feel the earth move under my feet; I feel the sky tumbling down, tumbling down; I feel my heart start to trembling whenever you’re around…” and I considered the earth-quaking impact of being in the presence of God. Then, “Way over yonder is a place that I know, where I can find shelter from a hunger and cold…Talkin’ about a, talkin’ about a, way over yonder is a place I have seen, in a garden of wisdom, from some long ago dream,” and I yearned for heavenly places. But then there was, “I’d like to know that your love is love I can be sure of; so tell me now and I won’t ask again, will you still love me tomorrow? 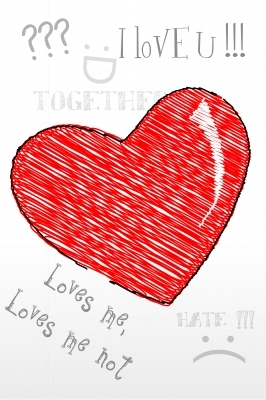 Will you still love me tomorrow?” And I realized that this is the cry of many people who are afraid to trust God because they have been bitterly and continually disappointed by others. God’s Word is true and, yes, he can be trusted!